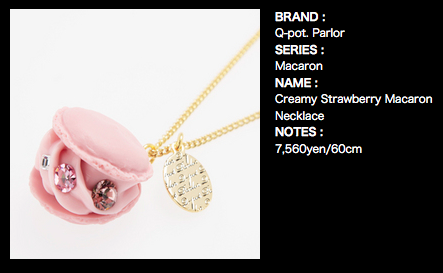 This is the pink/pink/pink version of Q-Pot's macaron necklace made with silicone. They are bouncy and durable with Swarovski crystals and gold chains. I bought this necklace with one half of the macaron coming loose. It was resealed with heat and I have worn it a handful of times without issue.